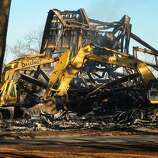 Clean-up continues after a fire destroyed the old theater at American Shakespeare State Park in Stratford, Conn. on Tuesday Jan. 15, 2019. 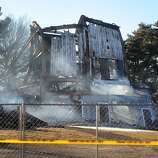 Though the circumstances of the blaze have led many to speculate on its cause, Fire Marshal Brian Lampart said investigators have no evidence of arson at the property  though he cautioned the investigation is also in its early stages. The American Shakespeare Theatre was kind of like one of those old Hollywood movie stars you’re just not sure is still alive. Olivia De Havilland is still kicking at 102. Carol Channing? The curtain closed on her life performance a few days ago, at 97. 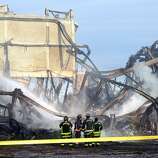 When I first moved to Stratford in 1984, a few blocks away from that echoing barn of a theater, it was already a moldering mess, a fire trap in search of ignition and rapid, consuming, spectacular oxidation. 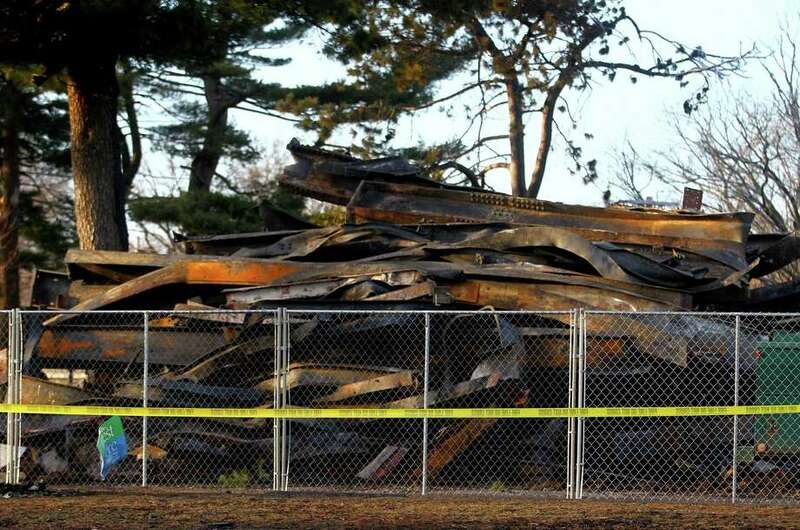 The fact that it stood upright for nearly another 35 years before going up in flames seems to be a miraculous homage for something whose time was long past. Over the years, one local charlatan after another promised to shine up the theater all the way back to its alleged glory. All they needed was a little more state money, a few extra thousand dollars in local donations from people who believed in the power of stage productions, the value of classic literature, and the actors who inhabit roles to create timeless emotion. 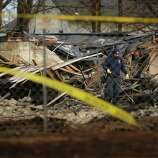 Were there warning signs before Stratford theater burned down? 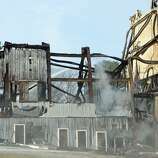 What will rise from Shakespeare theater’s ashes? Thousands, maybe hundreds of thousands, of school kids bused there from anywhere within a two-hour bus trip, were first exposed to Shakespeare along the banks of the Housatonic River in Connecticut. Hundreds of years later, The Bard is still fueling a tourist attraction in his English hometown of Stratford-upon-Avon. Stratford, Connecticut was never able to create that kind of synergy. About as close as it could ever come is the venerable Jerry’s Shakespeare Pizza, around the corner from the set-back, Elm Street property that isolated the theater from its neighbors, who were screened from seeing the place burn, until it was too late. The highway signs on the Merritt Parkway and I-95 announcing the theater’s imminent exit were hopeful jokes. The theater’s sunset arrived at a time when vacuous cable TV was keeping more and more people home, huddled for warmth around their mortgages and rising property tax bills. Sure, the great James Brown played the Shakespeare; the inimitable Kinks. But the theater’s claim to fame was staged presentations of Shakespeare. 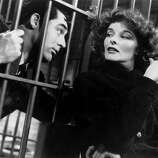 Katharine Hepburn once swanned around the 14 acres. But for decades, besides some truncated summer programming, the park has been a bucolic home for the noisy, gregarious monk parakeets whose VW-sized thatched nests make for easy bird watching. I wasn’t the only neighbor who would bring over old oranges for them to tear into, while enjoying their noisy takeoffs and landings. Shakespeare, to this eventually quiet little town park, was there in that fire trap, but very far away, in some rosy memories. Yes, all the foibles of man, from greed to love, are there, but the language is dense and archaic. I’m wondering if the old Shakespeare Festival Theatre turned off more kids than excited them. I’m kind of a word guy, and every time I see a Shakespeare play it takes me a couple scenes to even start understanding the language. Still, it can be mind-blowingly beautiful. A couple years back, we stood in line at the replica Globe Theatre on the south bank of the Thames, to spend five English pounds, about $12, for standing room in front of the stage for The Tempest, a mostly unbelievable story of coincidence. A couple days later, still gob-smacked, we did the same thing for A Midsummer Night’s Dream. Both were unbelievably wonderful and moving, even if the story lines were not reconstructed from transcripts of grisly California murder trials and recycled bad jokes from 20 years ago. Theater in Connecticut is in trouble. You can see it in the smallish crowds at the Yale Rep and Long Wharf. 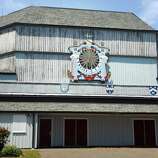 The Westport Country Playhouse and the Hartford Stage have deep-enough subscription bases, but anyone who thinks that the region was or is eager for a reopening of the Shakespeare Theatre, is having a mid-winter night delusion. Which brings us to the letter that Stratford’s legislative delegation has penned to Gov. Ned Lamont, requesting $5 million to try to put something new on the site of the Stratford ruins. That would be a classic case of good money being burned after the bad. They call it “an artistic and cultural icon.” I mean, Olivia De Havilland is arguably a cultural and artistic icon, but I’m pretty sure it would be tough for her to reprise her role as Scarlet O’Hara’s sister-in-law in “Gone With the Wind,” from 1939 Hollywood. This brings us to the state lawmakers who want Gov. Ned Lamont to cough up $5 million. That is so much laughable hogwash.